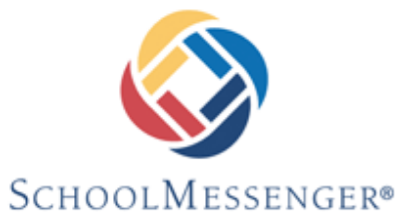 SchoolMessenger is the parent notification system used by the Brookville Area School District. The SchoolMessenger system will be used to send emergency and non-emergency messages to faculty, staff, and guardians. Messages are sent as phone calls, emails, and SMS/text. Please read below for detailed information about the system. It is important that contact information for guardians is kept current in the district's student information system. Guardians can request updates to their contact information by using the Guardian Information Update Form linked below or by stopping in to either the Hickory Grove Office (for elementary students) or the Jr.-Sr. High School Office. To maintain data integrity and accuracy, we kindly ask that you do not call the offices to provide updated contact information. Using the form below or visiting the school offices will ensure that our staff receives correct and accurate information. Guardian information is updated in the SchoolMessenger system automatically every night. The information for the updates comes directly from the district's student information system, eSchoolPLUS. Currently contact information is imported for student contacts listed as guardians in the eSchoolPLUS system. Imported data for each guardian includes home phone number, cell phone number, and email address. Guardians with a valid email address in the SchoolMessenger system have the ability to view their contact information, set notification preferences and review messages using the SchoolMessenger app available on the Apple App Store and Google Play. Additionally, this information can be accessed by visiting https://go.schoolmessenger.com . Additional information about the SchoolMessenger app can be found HERE . NOTE: For address changes, please call your child's school office for additional instructions.